Pile the whole family into the 2018 Ford Escape for a spacious, fuel-efficient, tech-savvy adventure. This year, Ford introduces a new model, the Escape SEL. The SEL fits between the mid-grade SE and the top-trim Titanium, giving buyers a whole lot of comfort and convenience at an excellent price. The SEL comes standard with a power liftgate to improve trips to the grocery store. The Escape SEL also features the Sync 3 infotainment system, which includes an 8-inch touchscreen and a long list of voice controls to help you sort through apps. Sync 3 takes connectivity to the max with Android Auto and Apple CarPlay, technology that displays smartphone apps directly on the touchscreen. Now you can stay connected safely, without actually looking at your phone. Why Choose the 2018 Ford Escape? 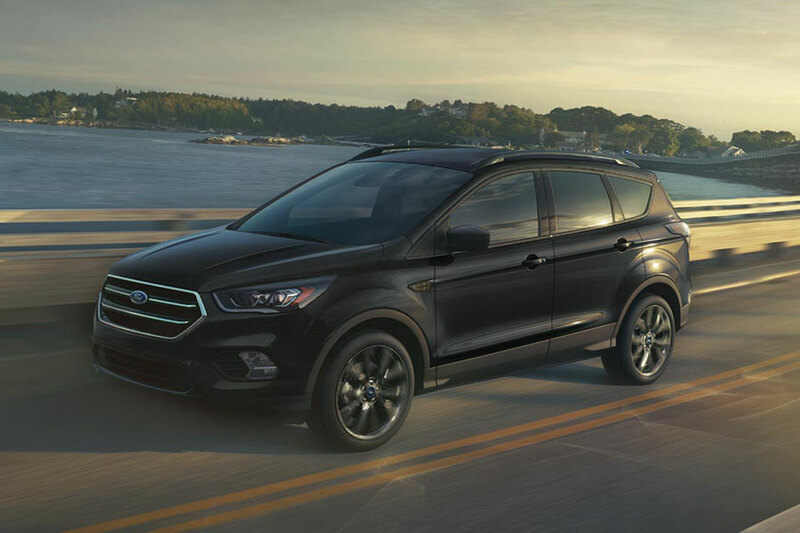 With three sporty engine options, road-trip-ready seating, and a massive cargo hold, the 2018 Ford Escape is hard to say no to. This small crossover is at home in downtown city streets, thanks to its parallel-parking-friendly dimensions. But it's also a good companion on wintery streets or winding highways, thanks to its available all-wheel-drive technology. Choose between three engine options to tailor fuel-efficiency, power, and performance to your liking. Inside, you'll find enough head-, leg-, and elbowroom to keep a cabin full of passengers happy for the long haul. Classy options, like leather upholstery and heated seats, add a new level of interior comfort. And, with up to 68 cubic feet of maximum cargo space, the Escape's hauling potential is near the top of the class. Just flip down the rear seats to transport big-ticket items. Is the 2018 Ford Escape All-Wheel Drive or Four-Wheel Drive? The 2018 Ford Escape comes standard with front-wheel drive, but you can add all-wheel drive to your powertrain of choice. This performance technology is especially useful on wet or icy roads. It increases traction on soft surfaces, so you can maintain safety and control. Is the Ford Escape Safe? In addition to pristine crash-test scores, the modern Escape offers all the latest safety gadgets. The Insurance Institute for Highway Safety gave the Escape its top score of "Good" in a number of crash tests, including moderate overlap front, side, and roof strength tests. In government crash tests, the Escape earned a perfect five-star rating for overall protection. 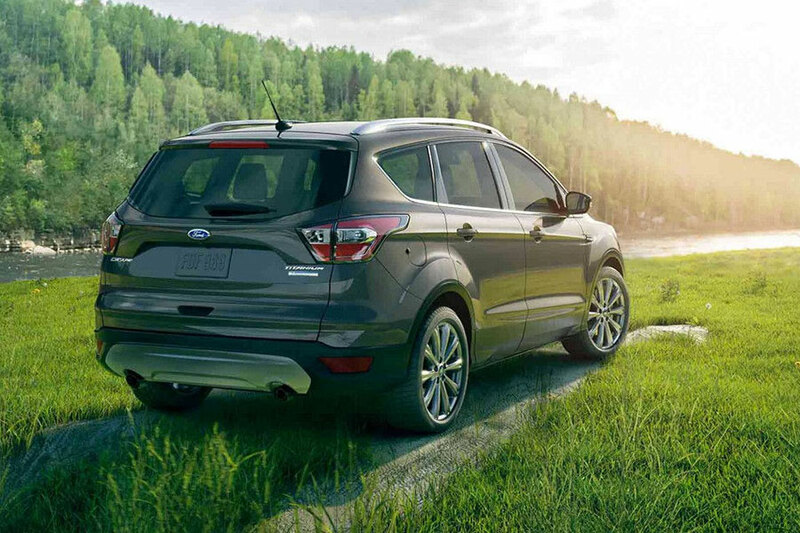 Ford's small crossover comes standard with a rearview camera to help you back out of a tight spot without any trouble. The Safe and Smart package is available for all but the base model. It includes everything you need to stay hyper-vigilant on a dangerous road. The forward collision warning system's automatic emergency braking function is specially designed to reduce damages or even help you avoid them. Before you switch lanes, the blind-spot monitor alerts you to vehicles you might have missed.